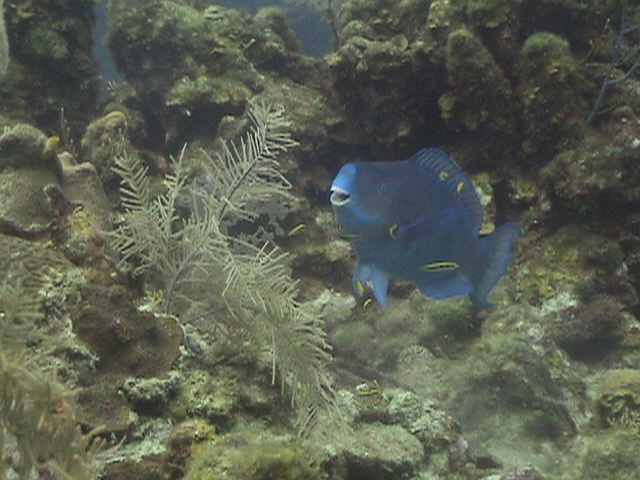 Donkey Divers spent a week at Anthony's Key Resort on Roatan. Giant bull nose parrot fish at a cleaning station allows small yellow fish to clean his scales and teeth. 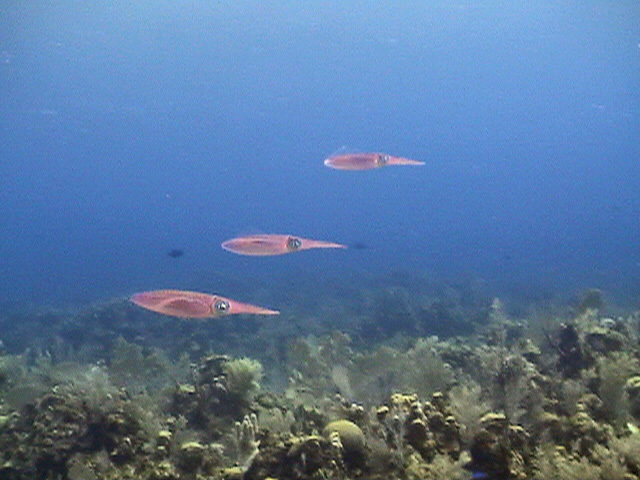 Three squid swim in formation. 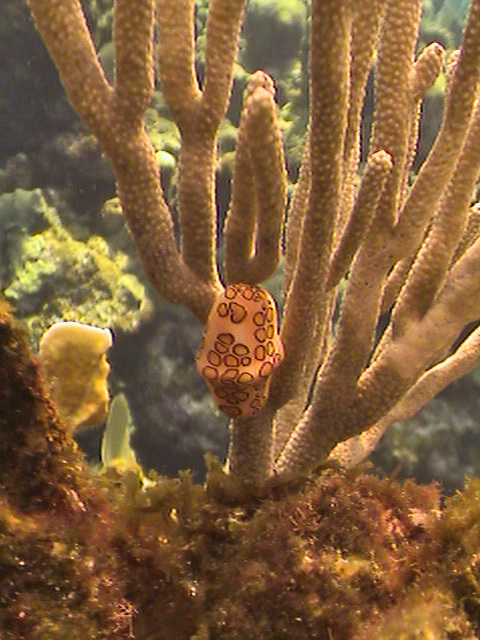 Flamingo tongue snail on coral. 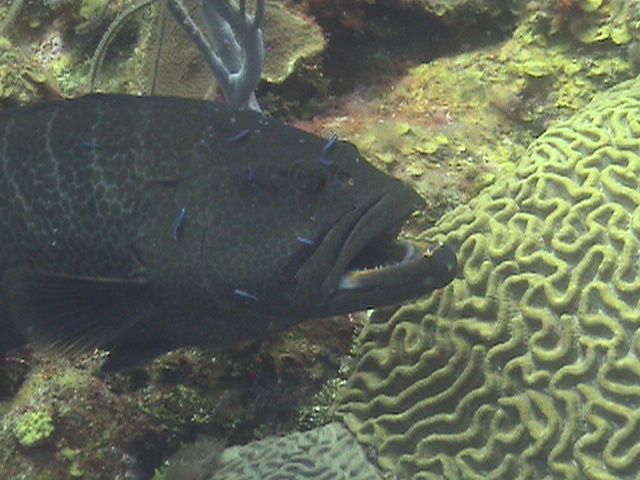 Over half a dozen small cleaner fish work to remove dirt, parasites and dead cells from this this grouper. 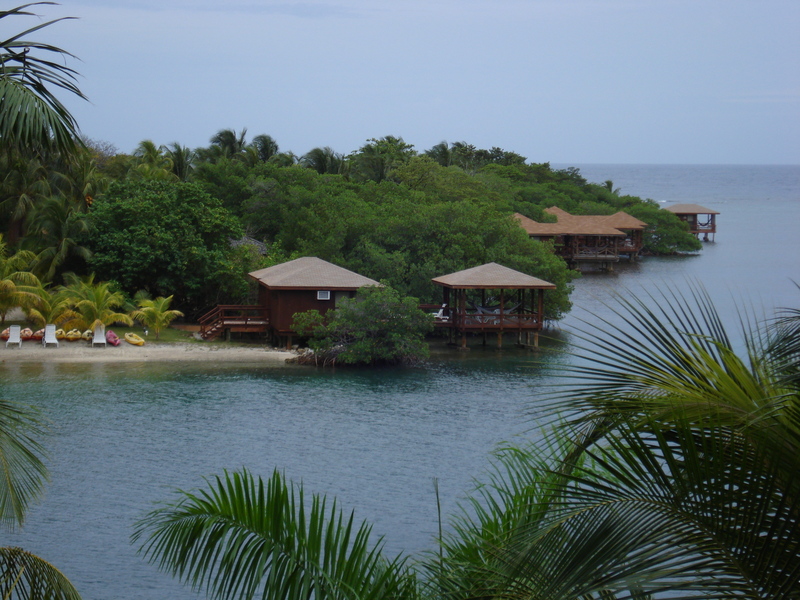 We stayed in bungalows on a small island (Anthony's Key) just off the main island of Roatan. This water taxi ferried us back and forth from Roatan to Anthony's Key. 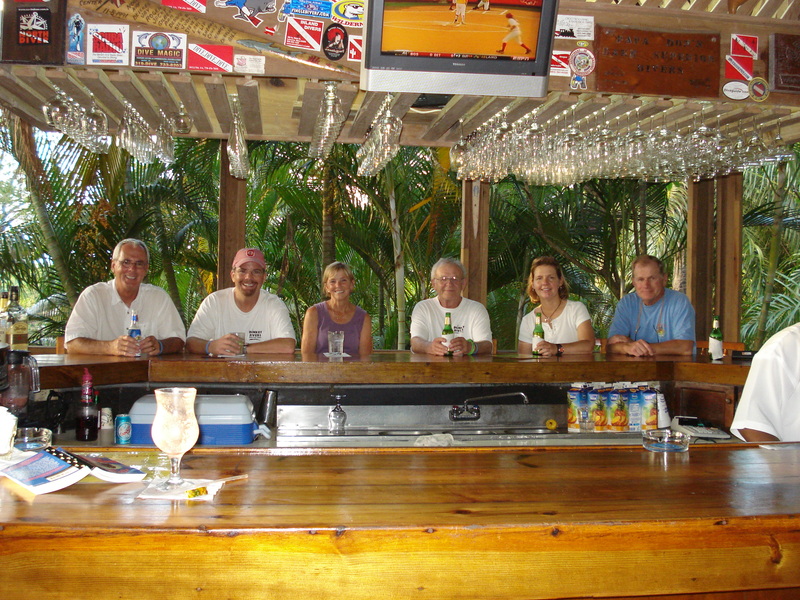 It didn't take the Donkey Divers long to find our way to the bar.